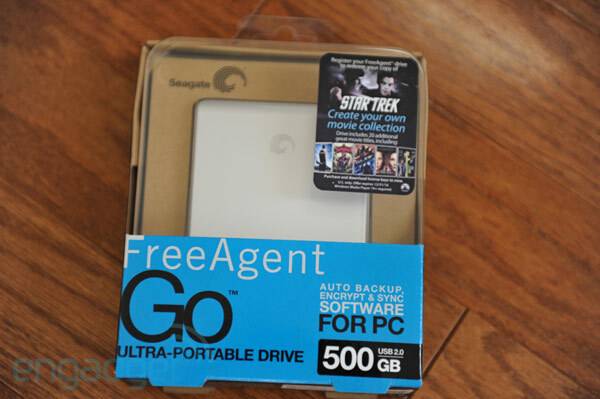 Segate, hard drive manufacturer teams up with the Paramount Digital Entertainment in order to roll out in the US 500GB FreeAgent Go 2.5-inch portable HDD pre-loaded with 21 Paramount movies. In 21 movies the StarTek (2009 version) is free to view and other 20 movies included requiring the purchase from http://seagate.paramountshop.com of a license key that costs between $9.99 and $14.99. The whole DVD-quality film collection takes up 50GB of space so you’ll still have enough bytes for other storage needs.